Tanya on the Four Elements - Releasing The Sparks of Holiness! Fire. Air. Earth. Water. 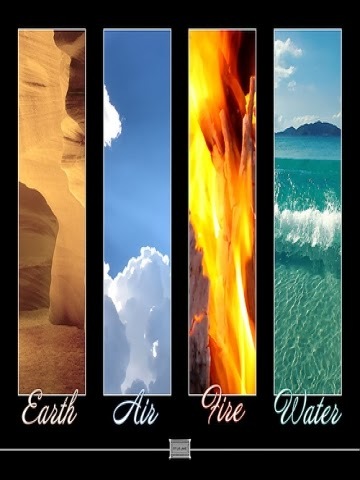 Our Zodiac (and our personalities) are made up of different amounts of each of these four elements. Each element has three permutations - Cardinal (Initiating energy), Fixed (establishing energy) and Mutable (transforming energy). The Tanya of the Alter Rebbe (Rabbi Schneur Zalman of Liadi) provides a fascinating glimpse into how the world of Chassidut views the Four Elements in terms of the human personality. Once ignited by anger and pride, a man (like fire) soars aloft. Pride is the state of considering oneself superior to others. Anger too is an offshoot of pride. Would a person not be proud, he would not be angered when someone defied his will. The appetite for pleasures [emanates] from the element of Water, for water promotes the growth of all kinds of pleasure-giving things. The ability of water to make pleasurable things grow indicates that concealed within it is the element of pleasure. Thus, the appetite for pleasure derives from the element of Water. And sloth and melancholy [emanate] from the element of Earth. Earth is characterized by heaviness. A man encumbered by sloth and melancholy likewise senses a heaviness of the limbs." What an astute description of the unrefined aspects of the Four Elements in Astrology! Who has not felt the legendary impatience and anger of an un-evolved Aries (Cardinal/Initiating Fire), the burning pride and roar of the hurt ego of Leo (Fixed/Establishing Fire) and the devastating scorn of Mutable/Transforming Fire Sagittarius when their will is thwarted! Have you waded in the waters of pleasure only to be deluged by lust? The material, sensual, security-minded Cancer (Cardinal/Initiating Water), the controlling sexual hypnotism of Fixed/Establishing Water Scorpio, the dreamy, distorted, self-nullifying Mutable/Transforming Water of Pisces can drown you in unquenchable desire. 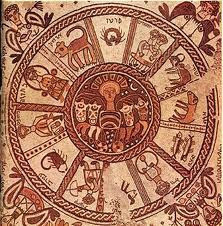 The people-pleasing insincere flattery of Cardinal/Initiating Air Libra, the cold bluster and indifferent bravado of Fixed/Establishing Air Aquarius, and the shallow, superficial gossipy Mutable/Transforming Air of Gemini fan the empty winds of communication without substance. Capricorn's Cardinal/Initiating Earth sternly grasps and rigidly controls the material world, the Fixed/Establishing Earth of Taurus manifests as lazy, selfish narrow-minded parochialism, while the punishing perfectionism of Mutable/Transforming Earth of Virgo critically picks apart and deflates every dream. Of course each and every one of the 12 Signs / 4 Elements have their refined, spark-uplifted nature as well. None so brave as Aries, none so loyal as Taurus, none so sparklingly entertaining as Gemini, none so faithful as Cancer, none so warm as Leo, none so calm as Virgo, none so balanced and beautiful as Libra, none so compelling or passionate as Scorpio, none friendlier and more fun than Sagittarius, none so stable and responsible as Capricorn, none more full of humanitarian enlightenment as Aquarius, and none as compassionate as Pisces. 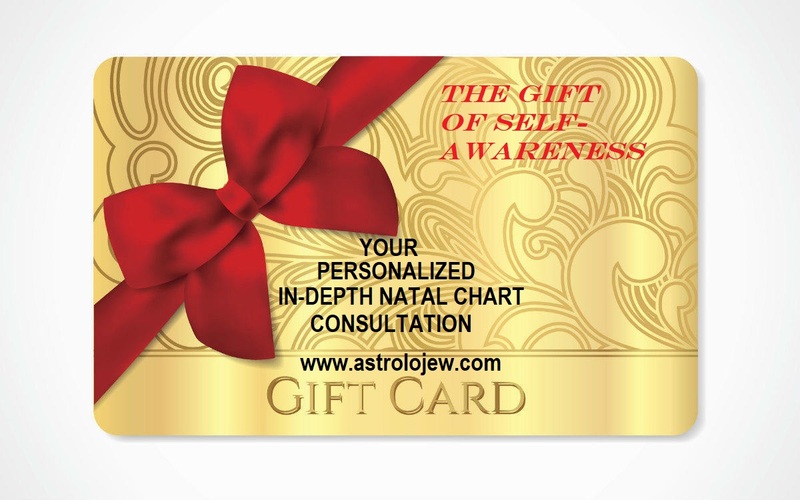 The positive, refined characteristics of each of the 12 Zodiac Signs (and their subsequent Tribal affiliations and relationships to the 12 Months of the Year) are manifested when sparks of holiness and goodness encased within the "Klipat Noga" are released. How are these sparks elevated? Some say by prayer, drawing close to G*d, development of the spiritual self - and all of this is true. It's been my personal observation that one's spiritual work is the tool by which the conscious application of the desire to know and understand one's own unique self that breaks open the "Klipah" (shell, skin, encasement) and allows the light to be revealed. How do the elements balance in your own personalized natal chart? 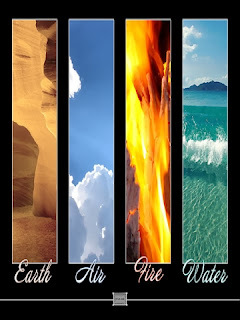 Are you dominated by Fire, Water, Air or Earth, or are you a combination of two or more elements and lacking in one? Are you elevating your holy sparks or are you letting the Klipot grown from the skin of a grape to the shell of a walnut?